Which resin classic sets would you recommend and how many? This is my Catacomb entrance. I would really like a double door with some kind of undead theme and a catacomb style floor. Halloween rings,MDF and paper strips on 4 bot cast. The dragons are from the original Mighty Empires board game. I would like to see more accessory inserts too. 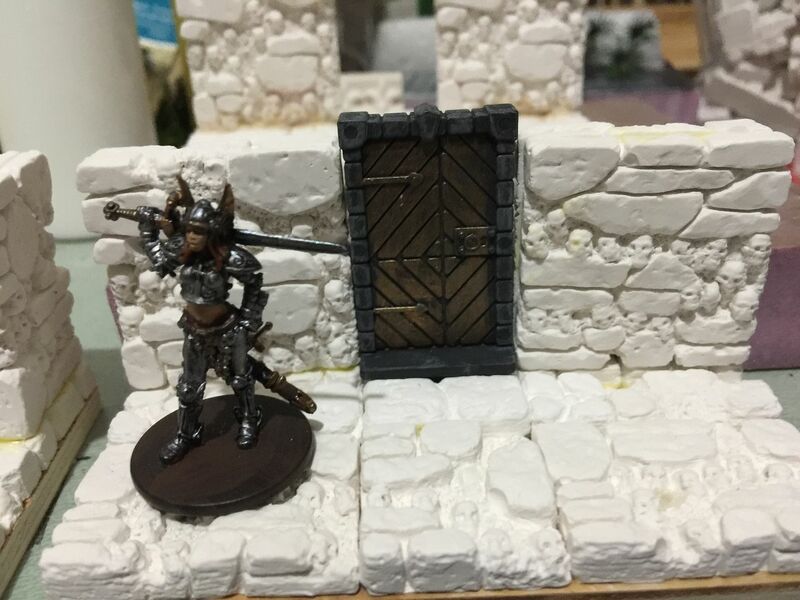 I would love a resin Catacombs "Entrance"! 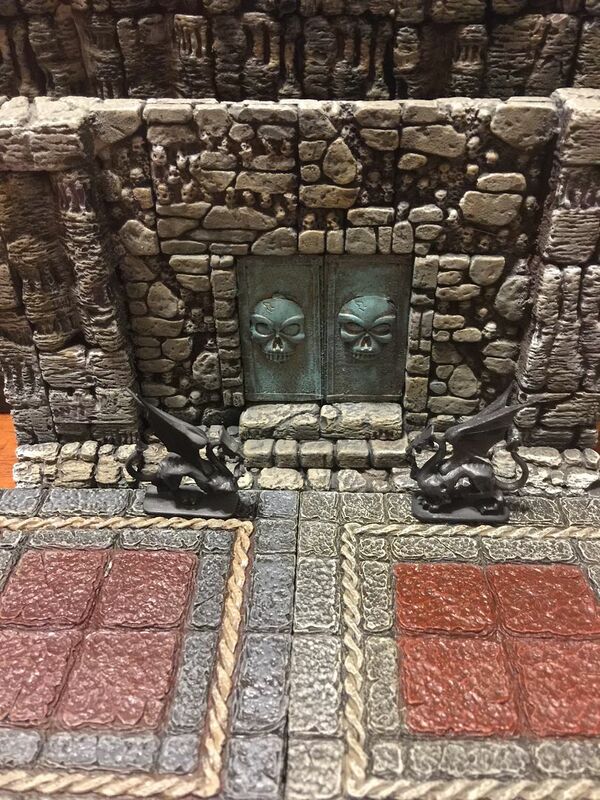 @ Oldent - Thats a nice looking Catacomb/Tomb entrance! 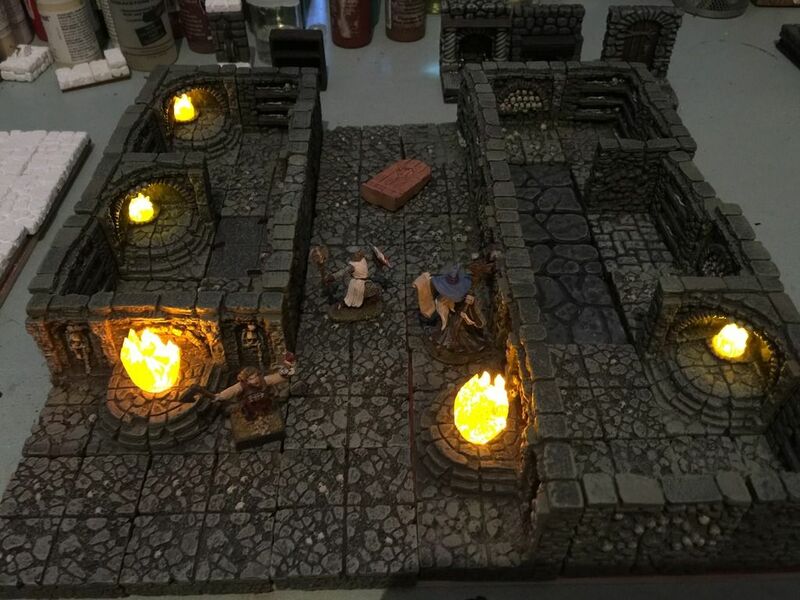 It should also be noted that there has been a long and vocal chant of DF addicts to get the Catacombs set in dwarvenite. I doubt that will happen, but I don't put it past DF to do a "Dwarvenite Catacomb" set in the future, even if it looks different. 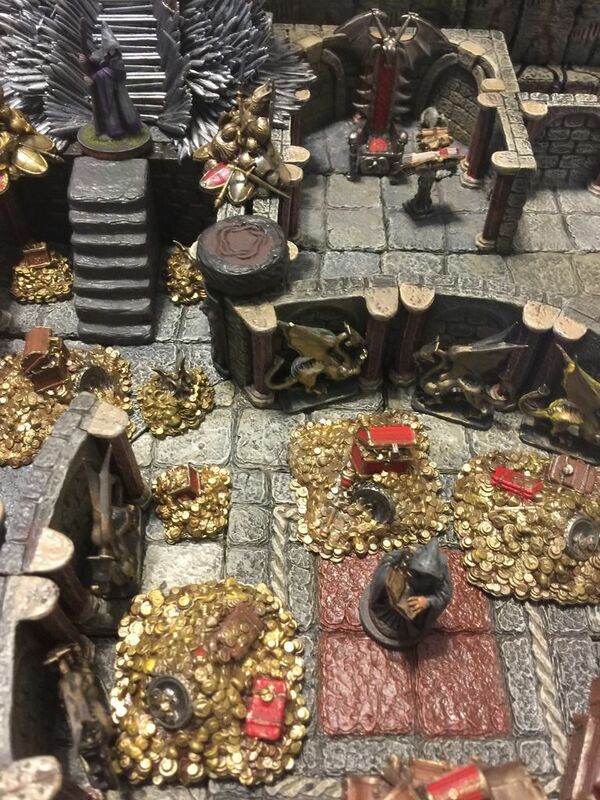 It has been leaked that there are sculpts for at least a new resin Catacombs entrance. 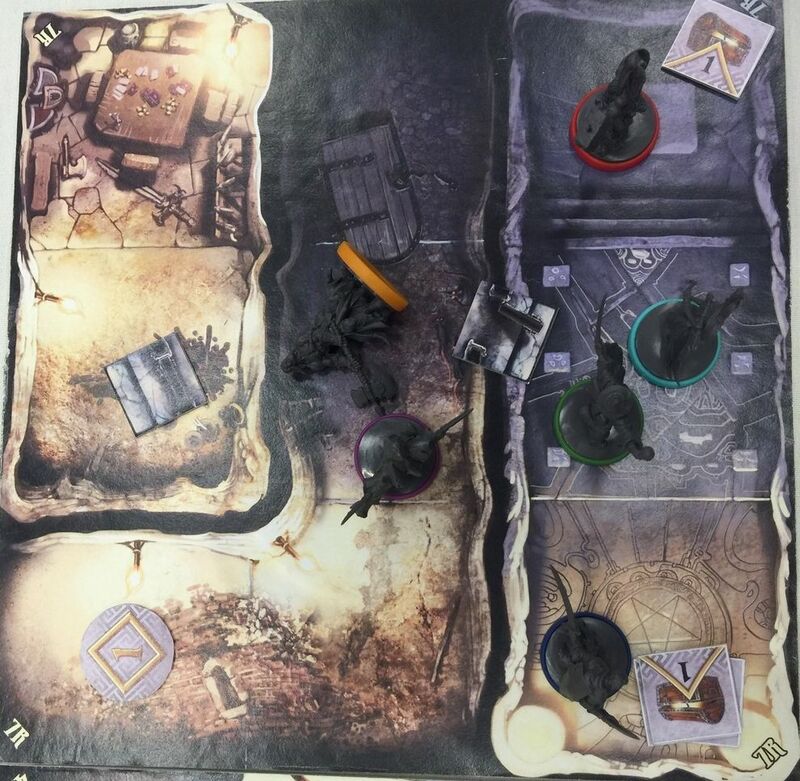 We don't know if that will ever be released or not, but it does show that DF is potentially interested in continuing the resin line, at least as it pertains to Catacombs. They're always a huge seller in the webstore. That is also how I use it. I don't use the round corners as much as the square corners . 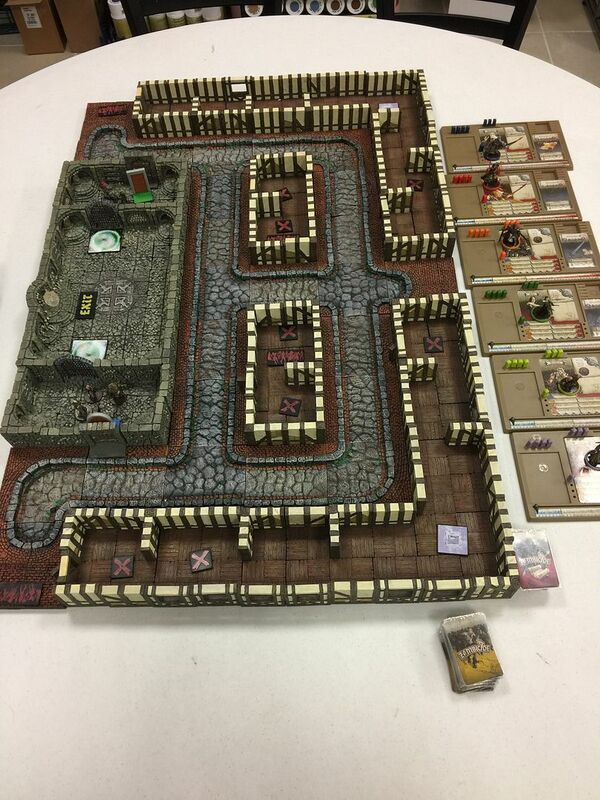 Three of the Catacomb II sets is something to look at. 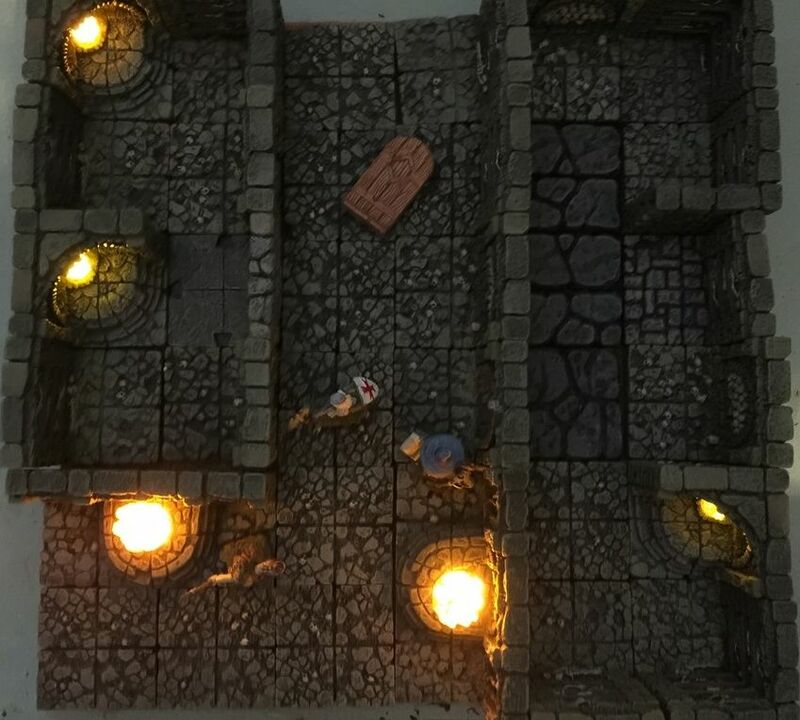 I was short floors for this one square foot build for Massive Darkness. 4 bot floor tiles are a better match than the Hirst Art cave floors. 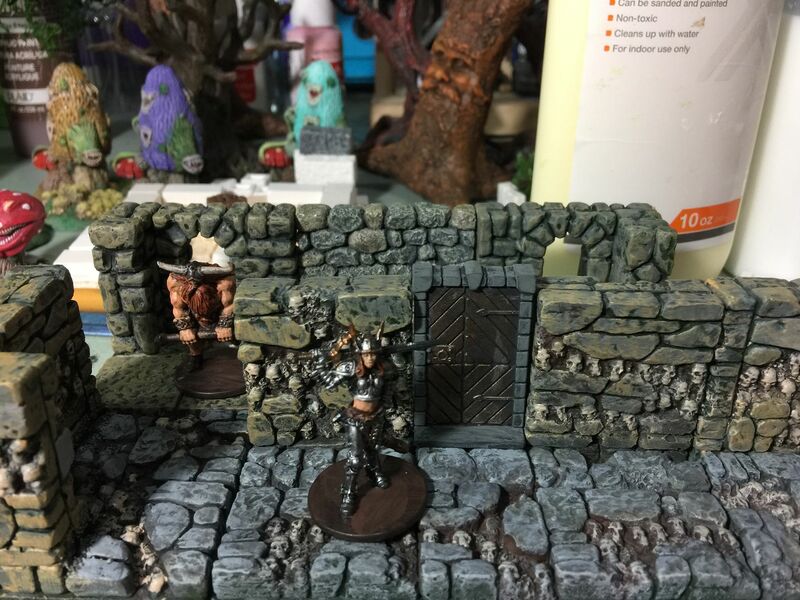 Catacombs and the Inn tiles with Alleyways.I painted a blue and green brick on two of the old resin doors for this scenario of Black Plague. The world famous 2xROTA I : 1xROTA II ratio. That post was super helpful! 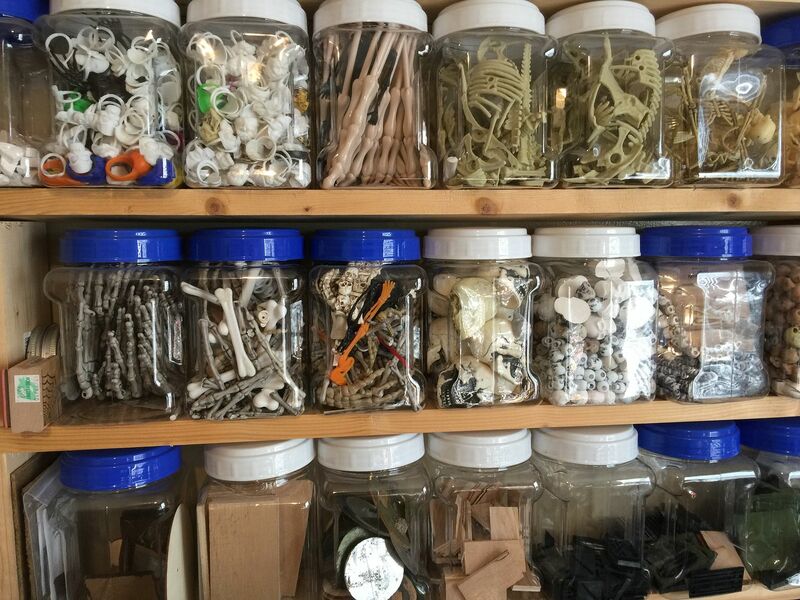 Do you recommend any particular ratio for catacombs? So I guess I'm saying the Cat I is the real workhorse here, then season with Cat IIs and 6" Walls to your tastes.